As soon as your system is installed you have improved your home value by atleast an equal amount of the investment. 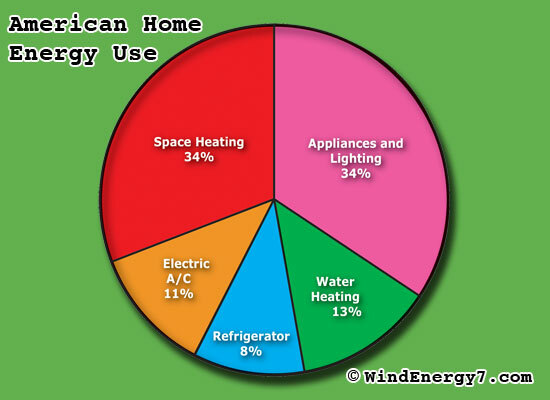 Your green energy home is more likely to sell than others with no home generation or emergency power system. Think about it. Look at homes for sale.. Can any of them generate their own free electricity, how many can compete with such a solid green energy capability like your home has? In addition to your home’s improved value, 30% government incentive, you will get free reliable electricity every day. The systems are designed for reliable power output for the next 30 years or so. With every increase of the utility company power your investment gets better all the time. Utility costs are rising all over and will accelerate over the next few years. 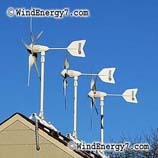 This is the first in a series of quick and brief (DIY) Do It Yourself articles from WindEnergy7.com. It is best if you read this series in order because they are written to benefit readers in that way. Our goal is to help educate customers not just sell products. Many customers actually become dealers, because they have learned so much when they are done. 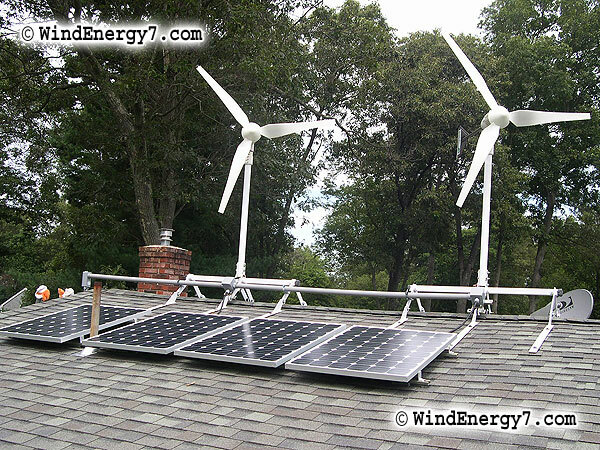 The first step in installing a home wind turbine is to determine how much electricity you use in your home or business. Your electrical energy is measured and sold in kilowatt-hours (KWH), so you need to find out how many kilowatt-hours (KWH) you use per month. How Much Electricity: Your main goal for the electrical needs analysis is to come up with the number of KWH per year that you want your wind system to generate. Without this analysis, you’re more likely to end up being unhappy with your investment in wind power. What Does it Cost: Your second goal is to figure out exactly what this electricity kilowatt-hours (KWH) is costing you. That is critical in doing the return on investment (ROI) of a system. 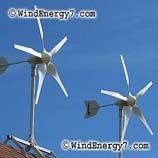 Our goal at WindEnergy7.com is to help people econolmically, to lower your energy costs. So, you will notice this as a big difference in our company and others, we focus heavily on return on investment (ROI). 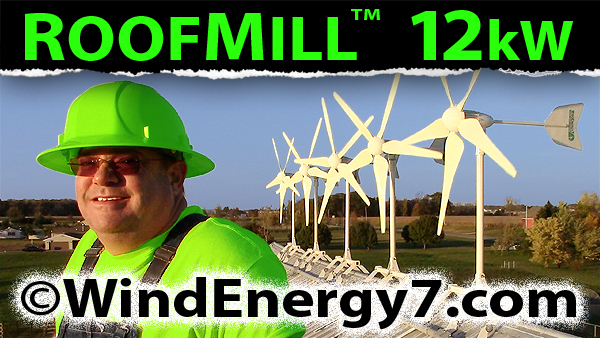 We want to make sure that any money you spend on green energy is a good investment first. It’s great that the environment and planet are saved too, but these systems are usually a great investment in your personal economic future. 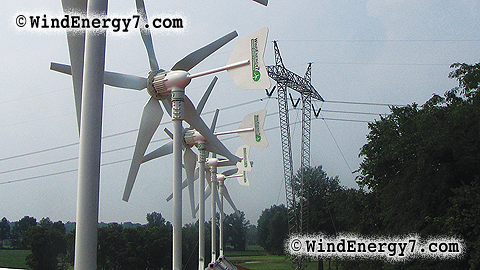 Without knowing your electricity use and costs, you cannot begin to communicate with your WindEnergy7.com dealer about a system. You cannot decide on what would be a good system for you or what it may cost. Most importantly, you cannot connect the dots, financially, to see the savings and payback of your home wind turbine. So, this is our first step of a personal energy systems design. Our goal in these articles is education, to put buyers in a situation to actually help themselves. 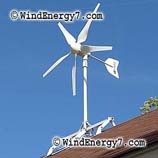 Our site and products at WindEnergy7.com is designed to be a true (DIY) Do It Yourself resource. Homework: Find out what your electrical use is in kwH, Find out what you cost per kwH is.